On the first floor is the characteristic atmosphere of the past preserved as much as possible and even accentuated. The four bedrooms are each equipped with very comfortable box spring mattresses. 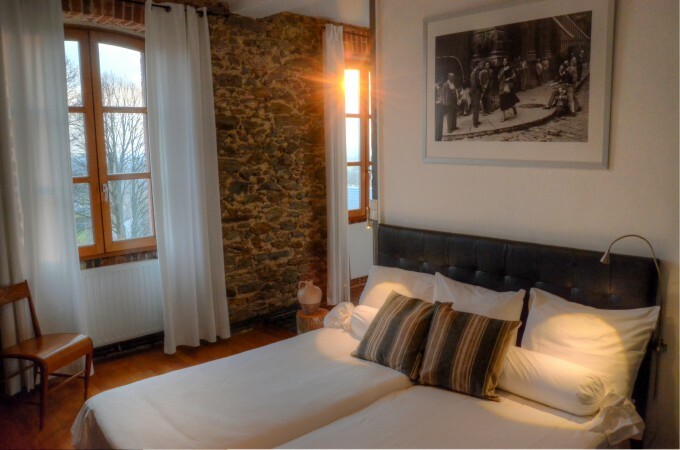 The rooms have high windows with views over the garden to the south and the picturesque village Troche. 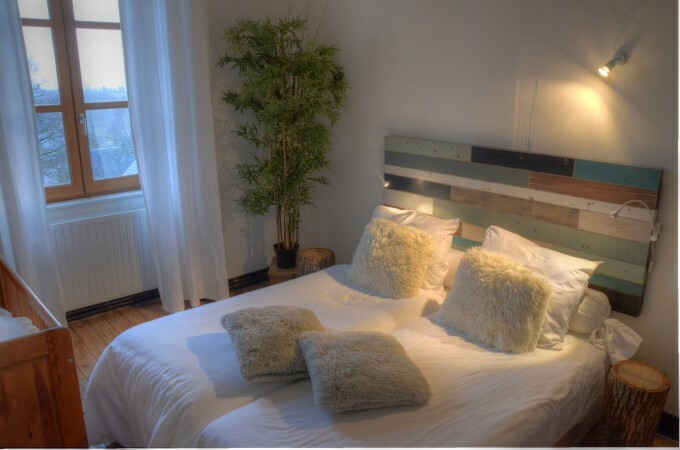 On arrival the beds are already made up…………… Your vacation can begin immediately! 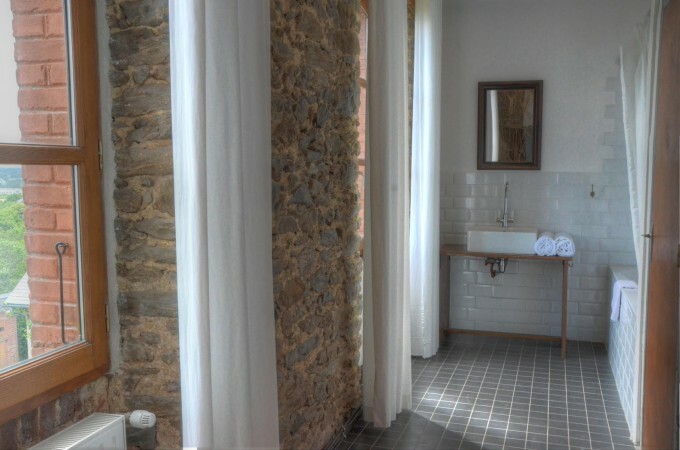 The master bedroom has an ensuite bathroom area with toilet, washbasin and a large bath. 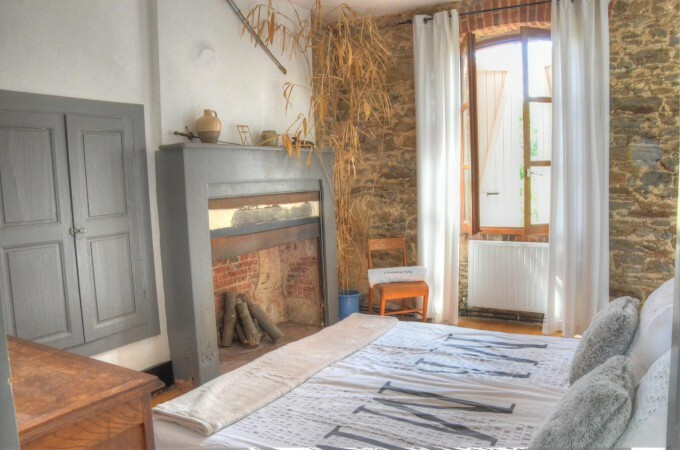 All bedrooms have large chests of drawers and good hanging space for clothes, and two bedrooms have a washbasin each. 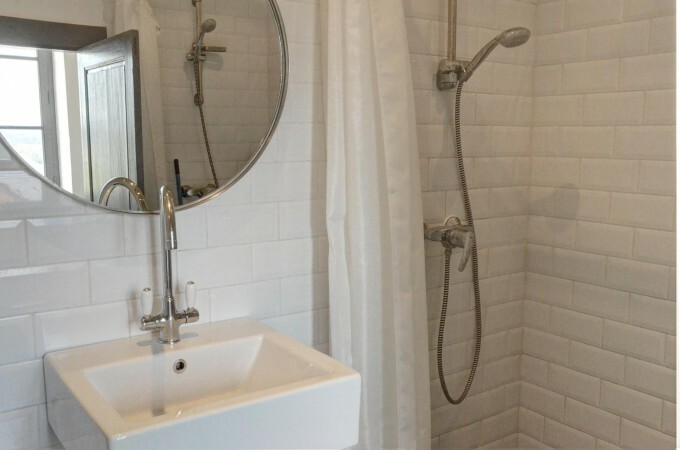 The family bathroom off the the first floor hallway has a large double shower,washbasin and toilet. It has a heated towell rail. There is a toilet off the ground floor entry hall and a third toilet at the end of the first floor corridor. All bedrooms have plenty of storage with large chests of drawers and wardrobes…………..plenty of hanging space. 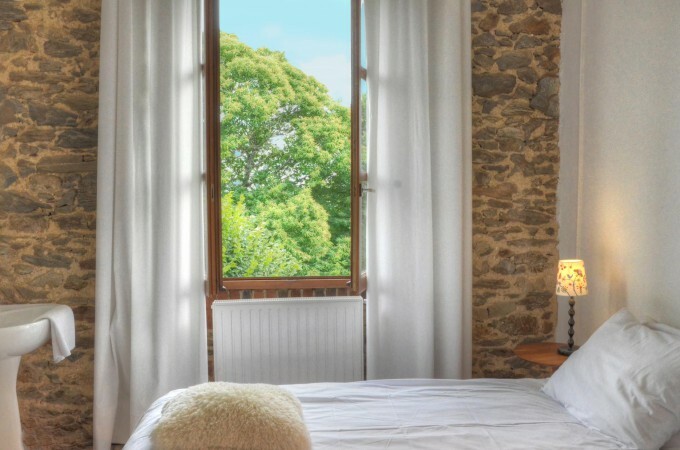 All bedlinen and towels for indoor use are provided, and should your stay be over two weeks, then all bedlinen and towels will be changed on the middle weekend.